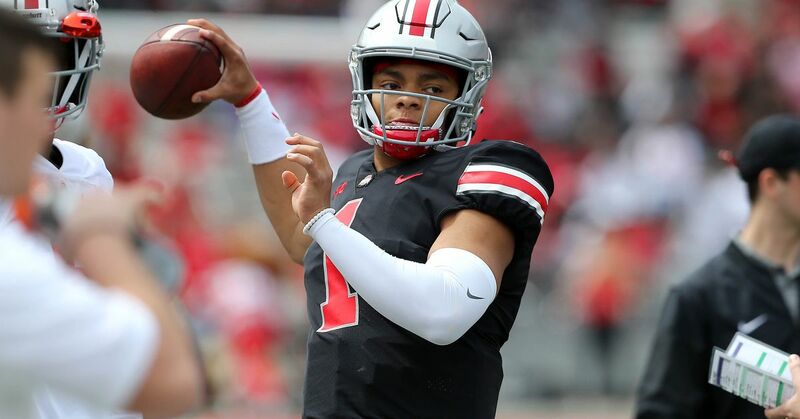 Ohio State received good news Friday when quarterback Justin Fields was ruled eligible to play in 2019. A 5-star prospect in the 2018 recruiting class, Fields spent his freshman year at the University of Georgia. He only attempted 39 passes last season playing behind Jake Fromm. Fields announced in January he was transferring to Ohio State. He hired attorney Thomas Mars to help with his NCAA hardship waiver. Following Friday's ruling, Mars issued a statement to ESPN's Adam Rittenberg about the NCAA's decision. "I'm happy for Justin and his family and all the Buckeyes fans who've been waiting for this decision," Mars said. "Justin's not only a great quarterback. He's also an exceptionally mature and impressive young man. He fully deserved to receive a waiver." Fields will compete to be Ohio State's starting quarterback in 2019 after Dwayne Haskins declared for the NFL draft. The Georgia native completed 27 of his 39 attempts for 328 yards and four touchdowns with the Bulldogs. Ohio State Football: What are defensive line recruits thinking?